We are proud to be one of the Top Canadian HUBSPOT Platinum partners with over 70+ HUBSPOT Implementation in Canada and the US. Our strategists have 5+ years of experience because your success depends on more than a methodology. Our focus is not simply on the campaign launch, but the full campaigns and their results. Flawless Inbound is more than a digital marketing agency—we’re a full Sales/Marketing/Services enabled catalyst for your organization. That includes full CRM implementations, Sales training, Inbound Marketing, and Lead Generation, Revenue Driven focused campaigns, web development and marketing automation experts. And, We are one of the highest rated Agencies for HUBSPOT with over 15 different industry specialization. You hired an agency because you wanted a trusted expert with a vested interest in your success. You work with Flawless Inbound employees. No freelancers, interns. We are here to help you rise above the noise! In October of 2018, we invited the Flawless Inbound team to speak at the Edmonton Chamber of Commerce new member reception. The objective of the presentation was to impart some key takeaways for our members. The team did an amazing job in imparting that knowledge and were able to explain how the technologies and the platform they use can assist and play a role in the marketing efforts of our members. We've signed up with Flawless Inbound not long time ago. Up to know they have been very responsive and everything we ask and they always come up with good ideas. Looking to gain more knowledge on HubSpot since this seems to be one of their strength. Flawless Inbound is a Customer centric, delivery focused organization with deep technical expertise in Hubspot. The team has full command over its intricate workings and can fine tune it to create amazing results. The teams passion for marketing teamed with their result oriented culture makes for an amazing partner. Highly recommend working with Flawless Inbound and strongly urge you to have a conversation with Saher Ghattas. 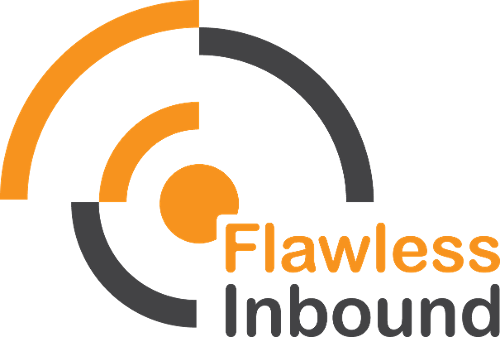 I was delighted to discover Flawless Inbound after a comprehensive review of numerous digital marketing agencies for a major client. FI quickly became a trusted partner on many challenging and successful projects. What impressed me the most was FI's values-based management under Saher Ghattas who is as passionate about his staff as he is about digital marketing. If you're looking for a savvy digital marketing company with a big heart, I encourage you to seriously consider this wonderful Edmonton company. Flawless Inbound played a significant role in onboarding us to the HubSpot platform. In addition, they also lead the development of a microsite, custom content creation, and inbound marketing campaigns that helped generate sales leads. We've come a long way and we share many successes with Saher and everyone at Flawless.